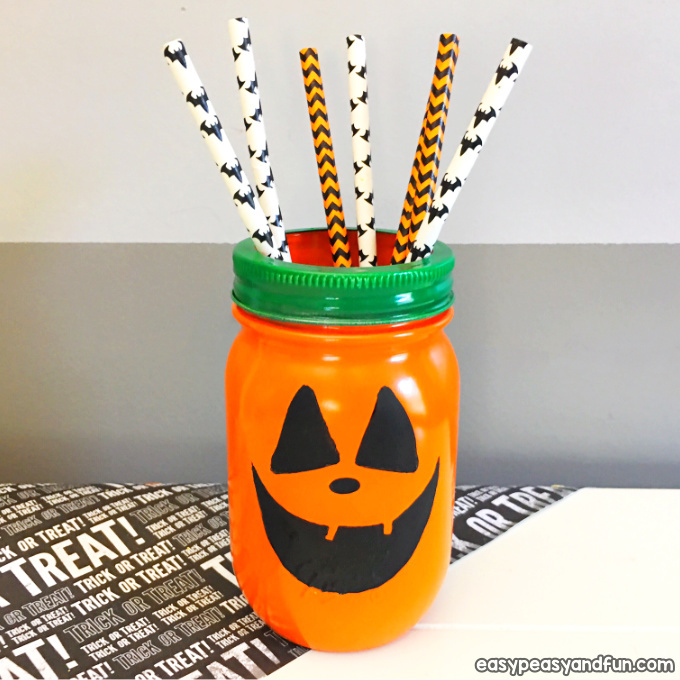 Re-purpose and old mason jar by making this easy Pumpkin Mason Jar Craft. 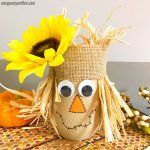 This one will make a great centerpeice for your Halloween dinner table or as a jar to store those tasty treats. 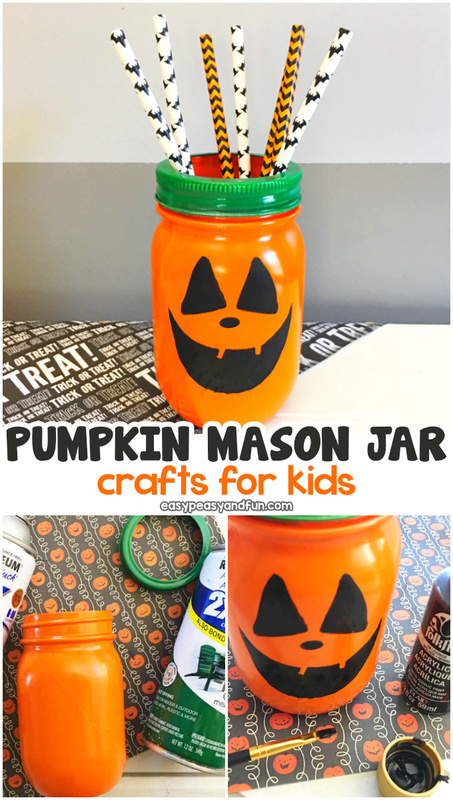 Also check the mummy mason jar craft. 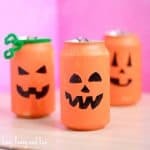 Halloween certainly is a great time of the year to get crafty with the kids – or by yourself – as there are just so many fun themes to craft with. 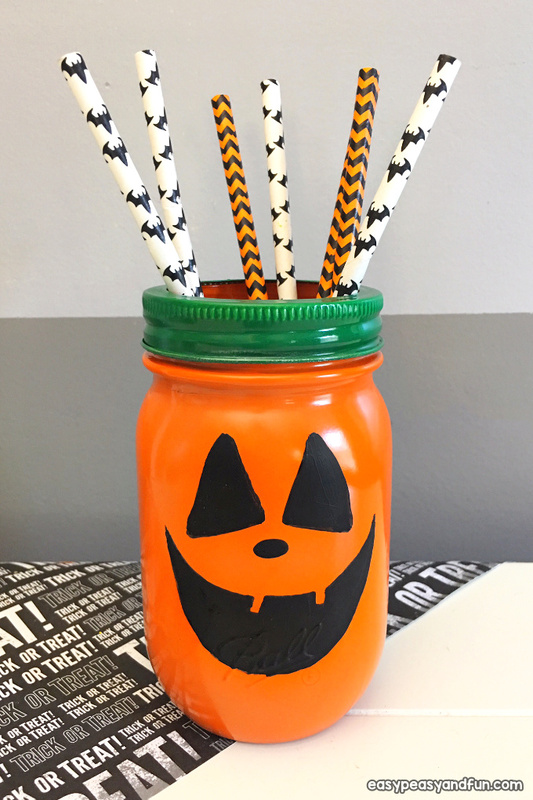 Ghosts and ghouls, cats and owls and Jack-o-lanterns! 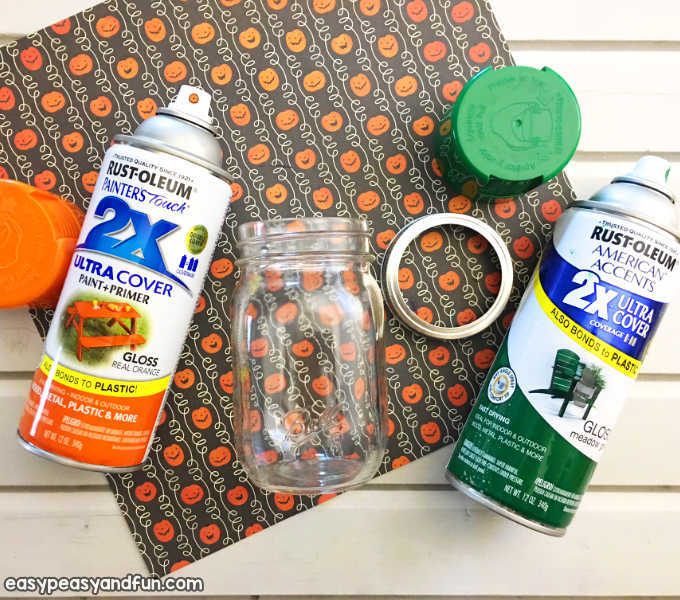 In today’s tutorial we are going to show you how you can quickly transform a mason jar that has served it’s purpose into a cool looking Jack o’lantern. 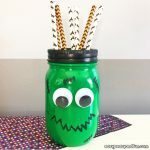 There are many things you can use this jar for – you can make it into a lantern by placing in a led light candle, use it as a holder for paper straws, treats or even flowers. 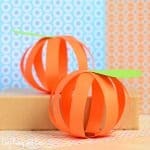 This project can be made by kids or by grown ups, it’s a fun one for all ages. Lay out a few pieces of newspaper before getting started. 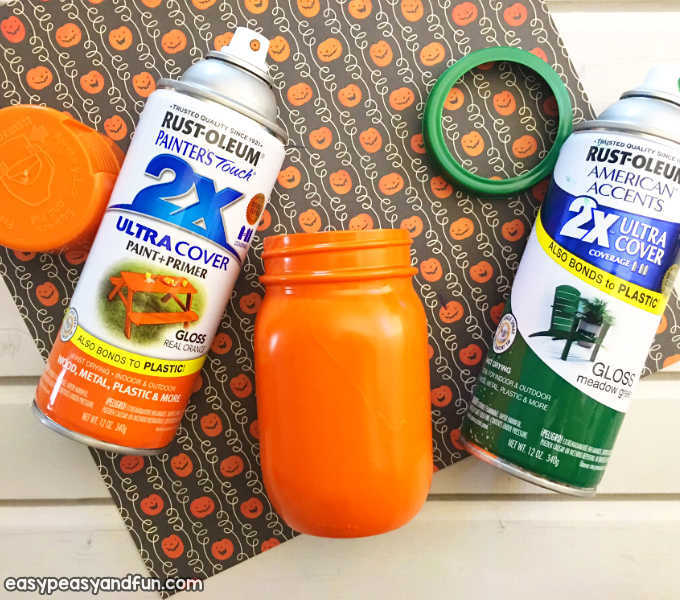 In a well ventilated area, spray paint your mason jar orange and your mason jar lid ring green and let dry for several hours or overnight. 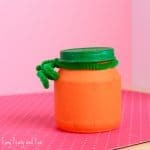 If kids are making this project, have them paint the jar and lid with craft paints. 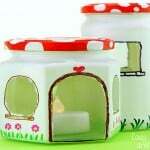 You can paint the jar either on the inside or outside. 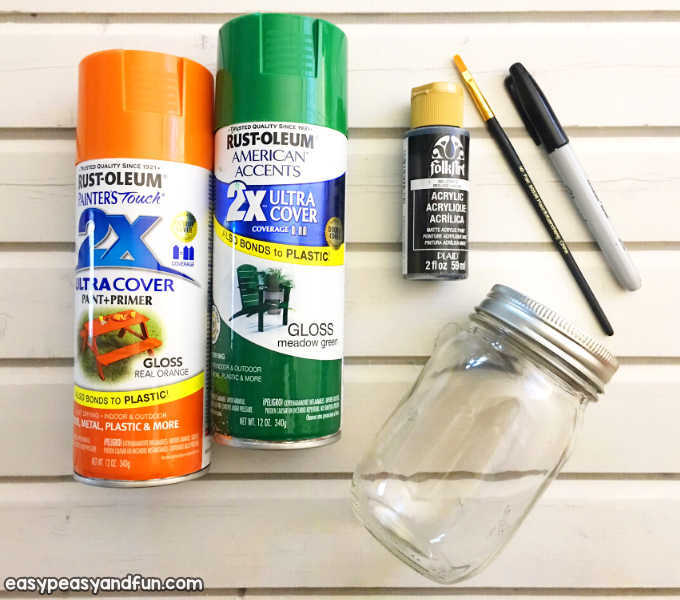 You might need to make multiple layers of paint, depending on the paint. 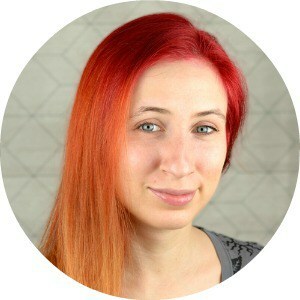 Allow the paint to dry. 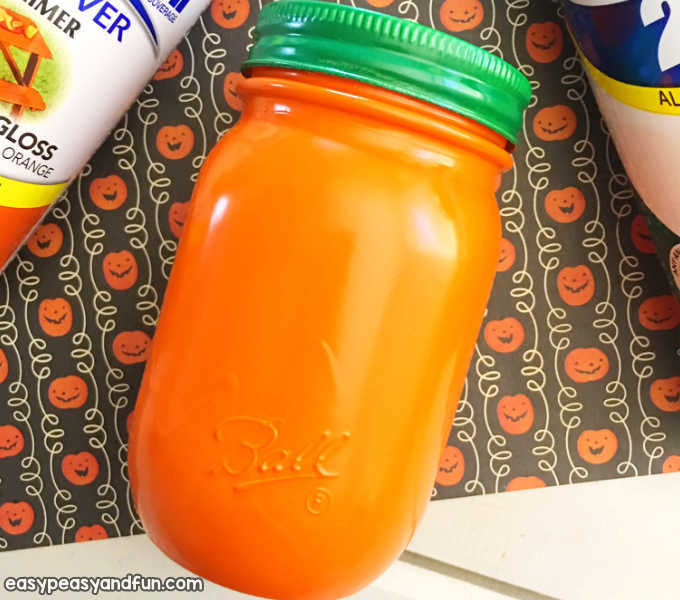 Once dry, screw the green lid ring onto your orange Mason jar. 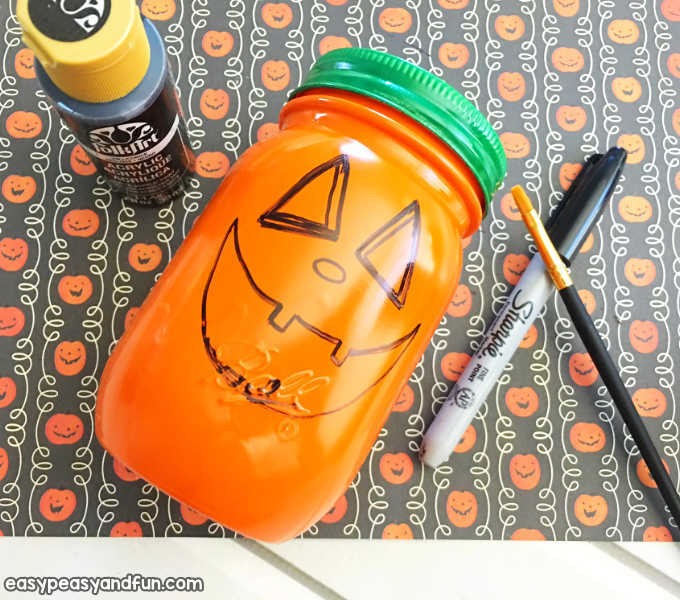 Draw a jack-o-lantern face onto the front of your orange Mason jar using a black sharpie marker. 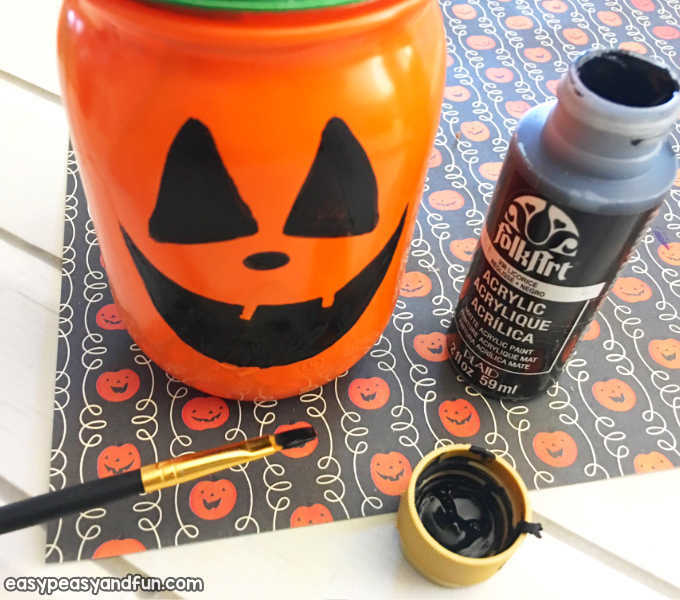 Fill in the face you drew with a paint brush and black paint and let dry. All done! 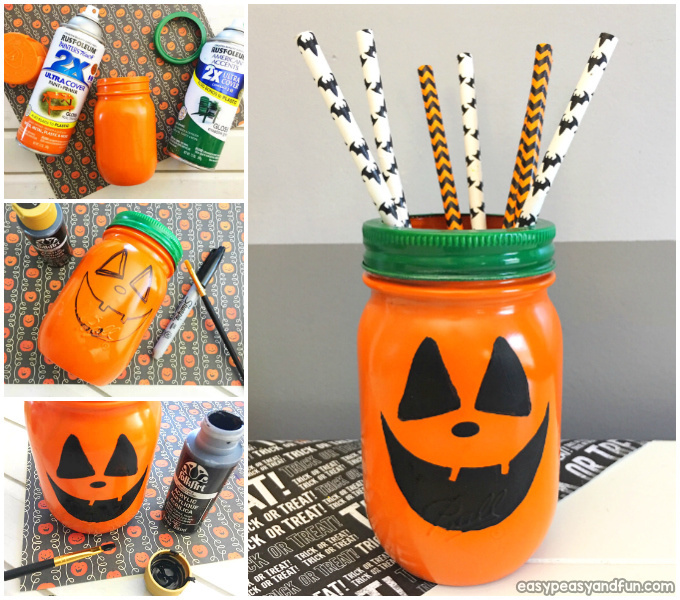 You have made your mason jar pumpkin.